Block party Amber Ale: Fermentation finished too soon? So I am currently fermenting my very first beer, brewing with the Block Party Amber Ale extract kit that comes with the Northern Brewer starter kit. About 30 hours after I put the wort in the fermenter with the dry yeast, I was seeing a lot of activity in the airlock: about a bubble every 2 seconds. However, 24 hours later, about 54 hours after putting it in the fermenter, I saw almost no bubbles anymore, (but the water in the airlock did still show some positive pressure in the fermenter). Another day later, and the water in the airlock is completely level, so no positive pressure in the fermenter anymore. So the fermentation went from very fast about 30 hours after brewing to almost stopped (at least judging by the airlock) about 72 hours after brewing. Is this normal? Does this mean fermentation stopped too soon? (the room temperature dropped to about 63 degrees overnight after 30 hours, which may have slowed it a bit). It has been about 8 days now. I am planning to leave it in the fermenter for a full 14 days before bottling, as per the instructions. Is there anything I can do in the meantime to make sure fermentation is completing properly? How many gallons are you brewing? Temperature swings can affect the performance of the yeast. Are you using US-05? This yeast should be good down to 59°F but it is possible to stall the yeast if the temperature of the fermenting beer was not stable. The temperature of the fermenting beer will change much less rapidly than ambient air temperature because the mass is more resistant to rapid changes. Very fast initial activity can be a result of pitching the yeast too warm or at the high end of the yeasts temperature range. Pitching warm can finish the fermentation faster. Optimum temperature of the fermenting beer is in the area of 64° to 68°F for most ale yeasts. Do you have a stick on thermometer strip on your fermentor, or other means, to track the actual temperature of the fermenting beer? Yeast produces heat as it works. The fermentation temperature will always be higher than the ambient temperature until the activity of the yeast slows. Flavors produced by the yeast are usually set in the first two or three days of the fermentation. I would move the fermentor to a warmer area with a stable temperature for the duration. Protect the fermentor from light sources to avoid skunking the hop oils. The fermentation is probably finished. The only way to know for sure that all the fermentable sugars have used up by the yeast is with specific gravity readings using a hydrometer. A necessary tool that is not usually included in the starter kits. I'll take a reading around day 10 and then a second 3 to 5 days later with most ale yeasts. Readings that are the same indicate the fermentation is complete. No rush to bottle though. The excess yeast and other sediments held in suspension by the CO2 that is in solution will begin dropping into the trub layer as CO2 begins to off gas. You will be able to see the beer clear from the top downward if you are suing a glass or plastic carboy. I've found three weeks time in the primary yields a very compact trub layer and clear beer to rack to the bottling bucket. Hope this is of some help. Please ask questions if this is more confusing than helpful. Thanks for the response, that's helpful! It is about 5 gallons I am brewing. I used a dry yeast that came with the kit: Muntons Ale Yeast. Optimum temp: 57°-77°F. So I should be good in that temperature range I think. I definitely don't think the room temperature dropped below 62F, and considering the yeast will add some warmth to the bucket, the temperature in the bucket should have been at 65 or higher. I should buy myself a good digital thermometer to track the temperatures, don't really have one. I just cooled the wort in an ice bath until it felt "warm, not hot to the touch", then added cold water to top it off to 5 gallons. So it could have been a little too warm at the pitching. yes, I have read about the hydrometers. I will invest in one of those as well going forward. Although I heard they are mostly useful for doing all-grain brews, not the extract brews? I want to start brewing some more complex beers after I get some practice, so will invest in a secondary fermenter as well. The instructions say 7-14 days of fermentation before bottling, so I figured 14 days should be good. The fermentation bucket is solid white color, so cannot look inside without opening it. But this should help protect it from light I think, it is in a dark closet as well. Refractometers are handier for all grain brewing more than a hydrometer because of the ability to use only a drop or two of wort which cools rapidly to room temperature. It takes too long to cool a hydrometer sample to the hydrometers calibration temperature for an accurate reading. I use this hydrometer. Since it is a finishing hydrometer the scale markings are farther apart and easier to read. I don't take original gravity measurements any more with extract brews. The OG will be as the recipe states if all the fermentables are used and the volume is correct in the fermentor. These stick on thermometers are accurate to within a degree. Just place them up near the five gallon mark. They don't work well if they are submerged in a water bath for heating or cooling the fermenting beer. I quit using a secondary clearing vessel over a decade ago after in infection. Invest in more fermentors to have multiple beers going at the same time. Do you have the space in your brewing area to set up some type of fermentation temperature control? Temperature control follows right after good cleaning and sanitation to produce great beers. My temperature control is a water bath and wet towel for evaporative cooling and a temperature controlled aquarium heater in the water bath when heat is needed. Cool, thanks. Those stick on thermometers look really neat, and cheap too. Interesting point about the secondary fermenters. I just know that a lot of beer recipes (Tripels, Quadrupels, Stouts, etc.) call for moving the beer to a secondary fermenter. Are you saying that this is not necessary and you can just leave it in the primary longer until bottling day? I don't really mind waiting, so if I can just make due with my primary fermenter only, I will start doing that. Many years ago it was thought that if the beer was on the yeast cake for more than 4 or 5 days the dead yeast would contribute off flavors to the beer. This has been proven a myth but the old information is still out there. The yeast isn't dead either. It has just moved into dormancy since there are no sugars left to keep it active. The yeast is just waiting for harvesting and repitching into a new wort. Use of a secondary has just remained in the recipes as an option. When brewing sours a secondary may be useful to reduce head space when the sour will be aged months to a year. I don't brew sours so the length of souring time may be wrong. I don't use a secondary for any of the beers I brew but I have a brewing friend that uses a secondary for all of his beers. To me it is an unnecessary risk for infection or oxidation. 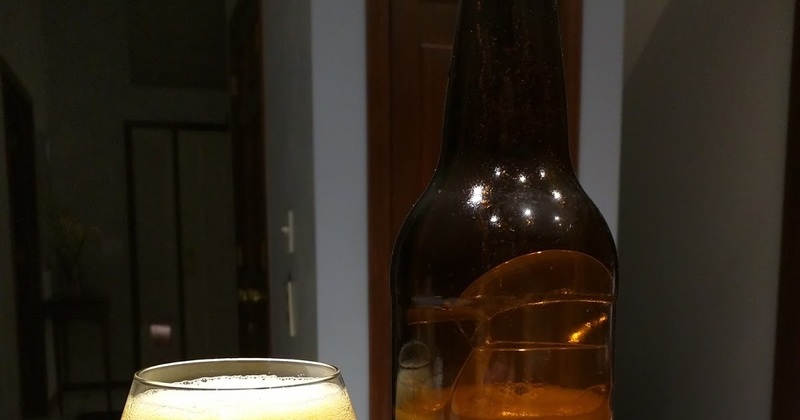 Well I bottled the beer yesterday after 14 days, it looked and smelled good. Krausen had sunk to the bottom of the fermenter, and it smelled like delicious beer. I saved half a bottle of the green beer and tasted it chilled, and it tasted alright actually! Needs the carbonation of course, but it tasted just like I would expect a flat amber ale to taste. I ordered myself a good quality digital thermometer for my next batch, to try and control the temperature more accurately. Also going to try and cool it faster in a big ice bath in my bathtub (my sink was just too small to cool effectively). Will perhaps invest in a wort chiller next. Good to hear it turned out well. I will use just cold tap water to begin the chill in my kitchen sink. I leave the lid partially open to let heat escape and use my boil spoon to lightly stir the wort to keep more hot wort against the cooler side of the kettle. When the water becomes hot drain and refill with cold tap water. When this water becomes warmish drain and pour in ice then filling the sink with cold tap water again. At this point I put the cover full on and get the fermentor and other stuff ready for the pour. My tap water is 48° to 49°F year round so this works fairly well. Wort in the fermentor is usually around 58°F after topping off and aerating. Now I know most people say you can leave the beer in the primary fermenter for at least 4 weeks. However: this beer states it should be in the secondary for 3 months! Is it okay to leave the beer in the primary (regular bucket, not a conical fermenter) for that long? This beer's ingredients are quite expensive, so I don't want to mess it up. But I don't necessarily want to invest in a secondary fermenter or a fancy conical fermenter where I can remove the trub from the bottom either. I've never brewed this one or one nearly like it, but my inclination would be to primary three to four weeks then age in the bottle. Some one with more experience with a Belgian brew like this needs to advise on the pros and cons to the lengthy time period in a secondary. Checking my brew log, I brewed Northy 12 on 7/10/16. I keg so I moved it to the keg 8/14/16. I then aged it in the keg until December when I bottled it for Christmas. It turned out fantastic. My OG was 1.094 and my FG was 1.012 when I transferred to the keg. If you are bottling, if you can leave it in primary 3-4 weeks as @flars recommends, then bottle age it for another 2-3 months. It will take several weeks to carbonate in the bottle based on the higher alcohol and you want to keep it fairly warm while it carbs (70ish). What I used to do when I bottled was in addition to my standard 12oz bottles, I filled a 1L plastic bomber bottle I had from when I did Mr beer kits when I was starting out many moons ago. I would invert the bottles gently every 2-3 days and feel the plastic bottle for firmness. When it got nice and firm, I assumed the carb should be good. Then you want to put them somewhere cool for some additional ageing. This can be 2-3 months fairly easily, but it's important to make sure that primary fermentation is complete BEFORE you bottle so you don't get bottle bombs. I used WL530 on mine and I can testify that it's an absolute monster. I made a 1L starter the night before and woke up to foam all over my kitchen counter. Even after chilling it in fridge for 12 hours to crash it for decanting, the second I swirled it in the flask it started pushing foam, it was incredible. You definitely want a blowoff tube with this beer. When I bottled mine off the keg, I put the bottles in an empty beer case and set them in the corner of my basement which is around 60-65 year round. Ideally you'd want the storage to be a bit cooler but this worked pretty well for me. I deliberately saved a full case for a full year to see how it ages and I can say that it ages very well. If I did it again, I would probably try to bottle condition it instead of kegging it. From what I've read for bigger Belgians this is not only traditional, but can have positive flavor effects as the yeast continue to work. My guess is the writers of the recipe are trying to mimic the process Westvleteren uses for their Westy 12. They do a four to six day primary and the beer is moved to lagering tanks at 50 degrees for two months to ten weeks, per Brew Like a Monk. I personally would do a 4 week primary and then bottle. Thanks a lot for all the suggestions guys! So your consensus seems to be to bottle after 4 weeks in the primary, and then bottle condition. Interesting, as this is longer in the primary than the recipe suggests, but way sooner to bottle than the recipe as well. So somewhere in the middle I suppose. Could I leave it in the primary for 3 months to ensure good conditioning? Good to note is that my primary fermenter is a plastic bucket, not a fancy conical or anything, so leaving in the primary longer than 4 weeks might not be good? than 3 weeks, you may as well bottle.)" So he is kind of contradicting himself I guess? it in the primary for the full three months. 3 months in primary is an awful long time to sit on the yeast and trub. Although autolysis isn’t as much of s concern as it was 15+ years ago it still is very real. One month tops in primary would be my comfort zone. I also feel that secondary doesn’t pose the risk other (perhaps lazy ) brewers would like you to believe. If you rack haphazardly you can introduce oxygen but other than that the beer will have dissolved CO2 in solution limiting O2 uptake. Also, I would assume this day and age one would use an effective sanitizer limiting contamination concerns. Sure, if you rack haphazardly and are lazy on cleaning/sanitizing there could be some concerns.